Tucked away and hidden behind a nonchalant doorway and a flight of exceptionally steep steps is one of Montreal’s best terraces. It doesn’t look like much from the outside, let alone give the impression that it has one of the city’s largest open terraces. Le Club Social Espagnol’s main function is to serve as a meeting spot for Spanish ex-patriots to gather, hang out, eat, drink and talk. Most of the clientele are middle-aged and elderly Spanish men watching soccer games and cheering for their favorite players and teams or at other times, casually playing Bingo. 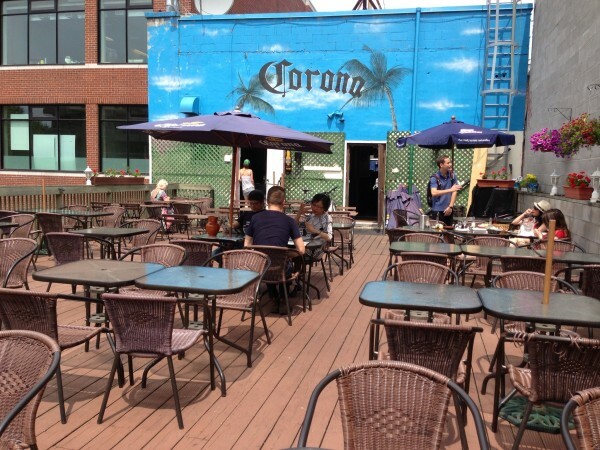 Then you have people like us, who aren’t frequenting the place for either of those things but come instead to enjoy the sunshine on the deck and a pitcher of fantastic red sangria. You could say that the sangria here is a staple item. Looking around the place, pretty much every table has at least one or two. That being said, the sangria is some fine stuff. Medium sized slices of oranges, apples and assorted fruits float in the red wine and give it a slightly tangy, citrusy flavor. It’s simple and has a really clean, fresh taste. The taste of wine isn’t too strong, so it’s easy to gulp down the stuff faster than you think, order another and then another and then… you know what happens next. After drinking a little, we decided to stay put and sample a couple tapas. After consulting with the server and choosing a couple of former favorites, the feast began. 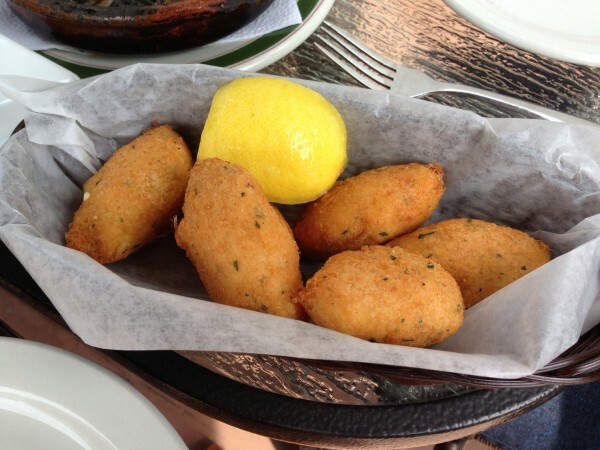 The cod croquettes were delivered in a basket, accompanied by half a lemon for taste. Each piece was steaming hot, soft to the touch but firm enough to grasp. With a hit of acid from the lemon juice, these were pretty perfect to snack on as our food began to arrive. The poached octopus dish came on a round wooden board, soaked with olive oil, dusted with paprika and sprinkled with coarse sea salt crystals. 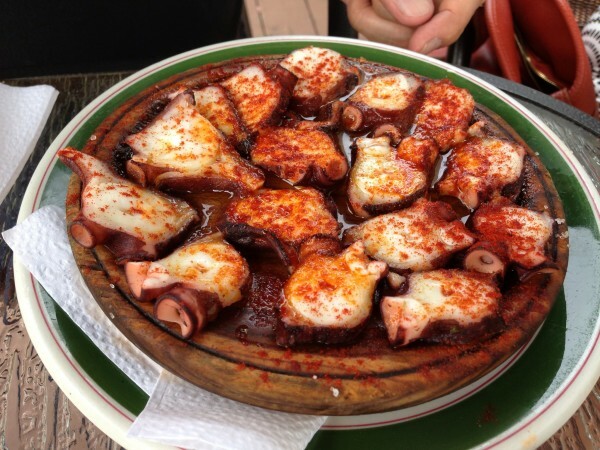 The octopus tendrils are heavily favored in this traditional Galician style dish, with each bite being at the ideal cross section between rubbery and overcooked, similar to the idea of al dente in Italian cooking. The colors and the presentation alone were enough to make you feel like you were transported to Spain and eating at a local tapas bar. If you want some straight up greenery, the house salad is a decent bet. 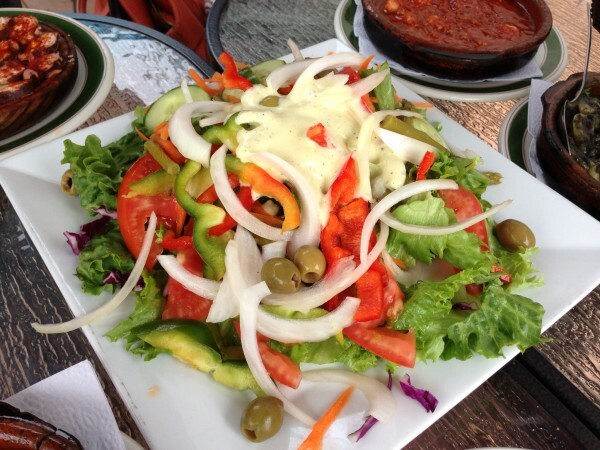 It’s not particularly Spanish but when can you go wrong with combo of lettuce, olives, onions, peppers, carrots and a thick, creamy sauce? 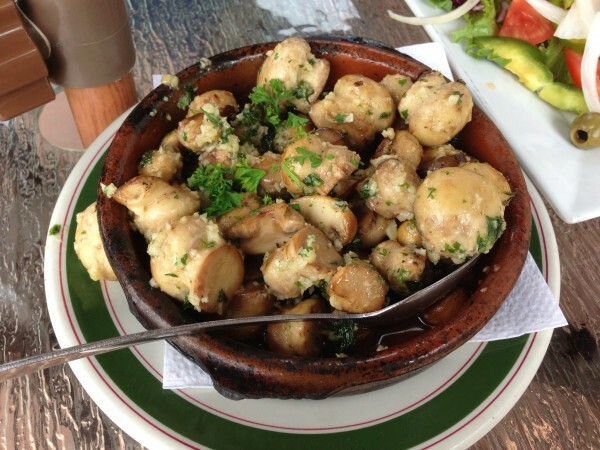 If you like mushrooms and you like garlic, the garlic mushrooms will do you right. Each nub is firm and just a little crunchy. For me, these were a bit boring and I probably won’t get them again but like I said, if you’re a mushroom freak, you’ll be happy. 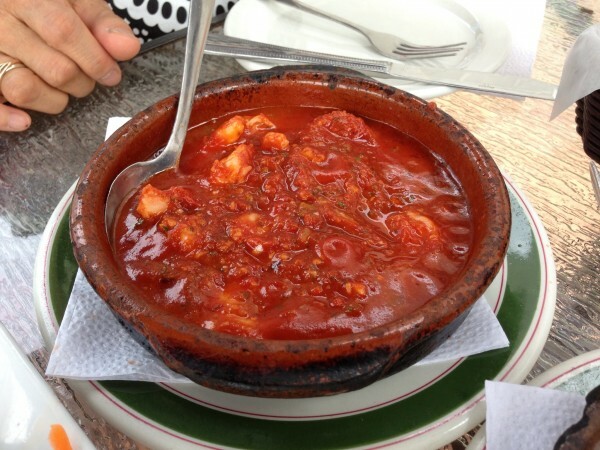 The shrimps in spicy tomato sauce were particularly good. The shrimp are medium sized and stewed really nicely. The sauce though is the real standout. Spicy enough to give a kick of heat on the tongue and goes great with bread as a dipping sauce. Ah, the squid in its own ink. As soon as I saw this item on the menu, I knew we had to get it. Finding this item on Montreal restaurant menus is rare enough, and I wasn’t about to let this one get away without having a taste. This was the second time I tasted the dish and both times were overly salty, so you can imagine my disappointment. One, two, three, even four bites in, you’re okay. But any more and it starts it hit you. Better luck next time. 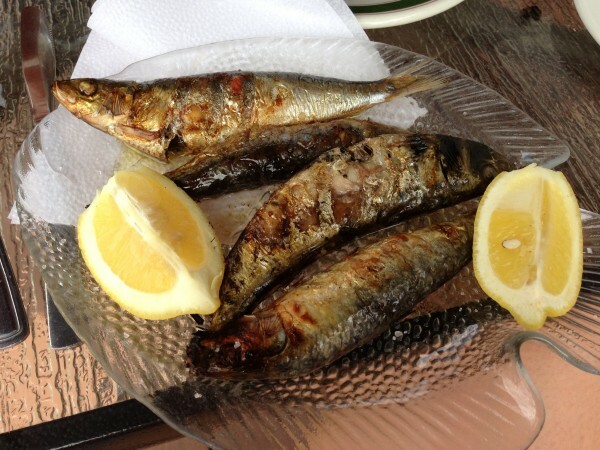 As for the grilled sardines we got four whole fish. These were charred nicely, the flesh was soft and easy to peel away from the bones. Lemon here was key. 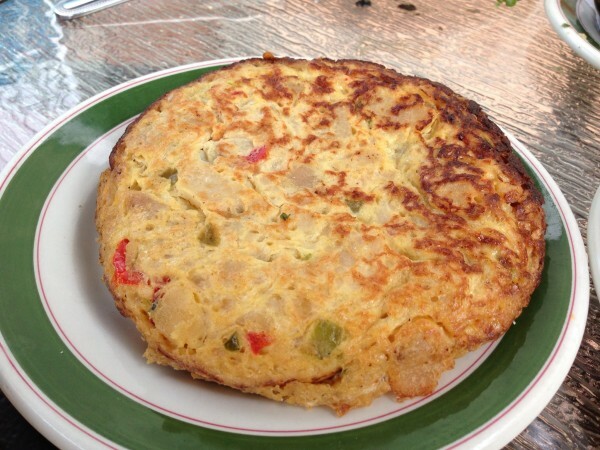 The Spanish omelette was a bit of an afterthought. We wanted one more dish to top us off and the first thing that came to mind was this one. We chose quickly and in the end were a little disappointed. The omelette is stuffed with cubed potatoes and a few spices which makes the dish heavier and more filling (which I guess is what we were going for). Taste-wise, definitely less exciting. 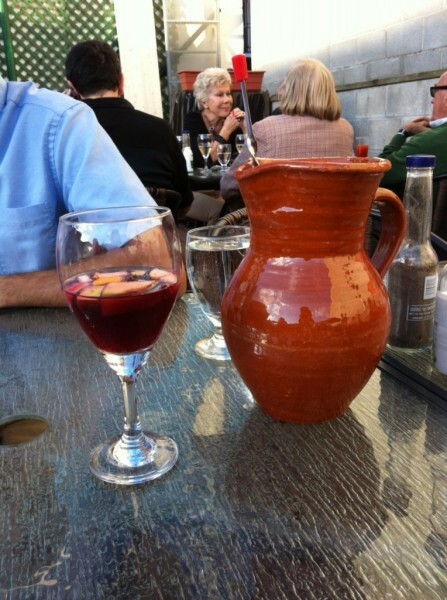 All in all, the Club Social Espagnol has a gorgeous terrace, beautiful sangria and very decent tapas. 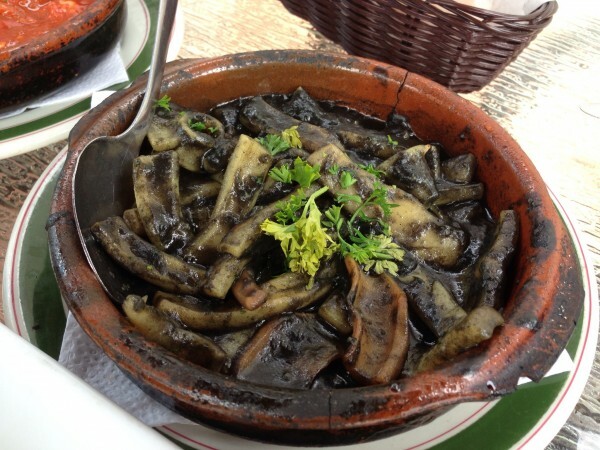 Check it out for a slice of Spanish food and drink! 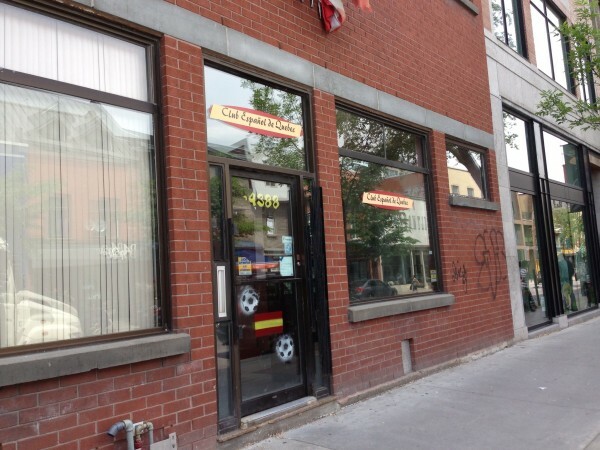 Tags: Club Social Espagnol, Corona, Dinner, Lunch, Montreal, Spanish, St. Laurent, Tapas, Terrace.